Like all companies, fulfilling the potential of your staff is key to successful business operations. Happy staff equals increased profits so it makes good sense to look after all of your workplace teams. No matter what elements of fitness and health your team require assistance with; we are on hand to help. Research and experience has shown that when staff are well looked after and in a positive state of health, companies are able to reduce staff sickness, improve staff morale and improve productivity. At Physio Wellbeing we offer a full range of physiotherapy regimes and therapies for all types of companies and their staff. Depending upon the conditions being treated and the symptoms being described by the patients, we can offer full deep tissue massages, joint articulations and even sports massages. All of these promote a sense of positive personal wellbeing, health and energy. Stiffness and discomfort can be relieved and even old injuries or ailments improved to a great extent. No two companies are the same and neither are our corporate team wellbeing packages. Once you have made contact with us and we have assessed how many staff members are involved and what sort of service you are looking for, we will tailor a package of care to suit your chosen team within the workplace. By making the most of our corporate team wellbeing packages, you will discover a newly energised and empowered team, ready to work their hardest for the company and produce at peak rates. 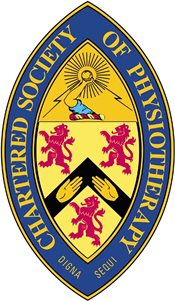 Be proactive today and get in touch with us to discuss your staff physiotherapy requirements.